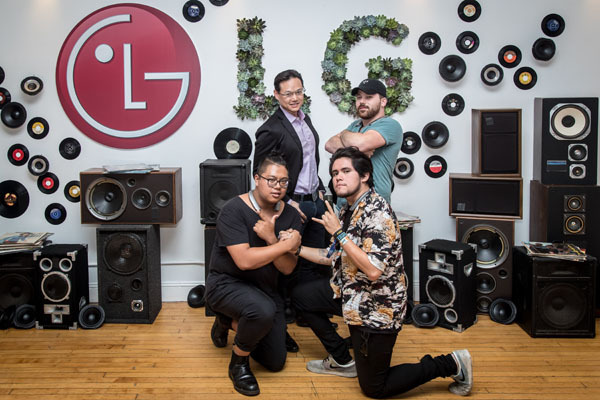 LG’s latest wearable speakers have redefined sound as they debuted their latest technology in partnership with electronic pop band Arizona at NYC’s Home Studios, Inc. June 29th. 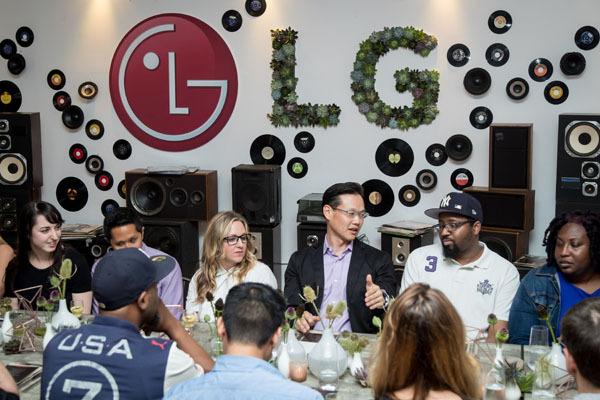 LG Mobile Phones PR Director Frank Lee co-hosted the “Sound Bites” event with ARIZONA members Zach Hannah, Nate Esquite, and David Labuguen to fuel an intimate discussion regarding the future of music and technology. The LG TONE Studio headsets are a part of the tech superpower’s push to create and re-evaluate users listening experience. 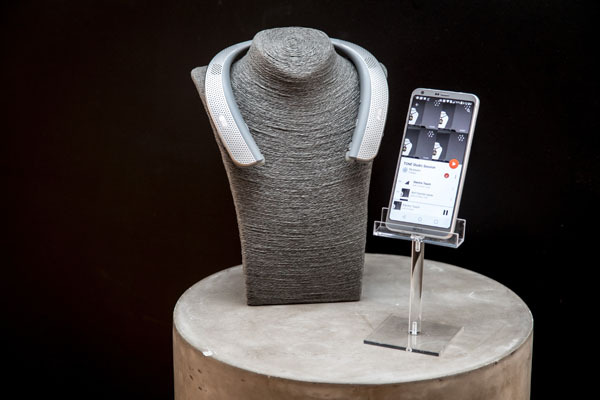 Rather than offering just one option, the headset allows the user to personalize their listening preference. The headset can be used with any Bluetooth-pairable devices and due to their external speakers; they make for a unique listening experience where users can have individual surround-sound without alarming the neighbors. From discussing the streaming services that have allowed musicians to more easily distribute and publicize their songs to the evolution of music-listening devices and formats (records, cassette tapes and MP3s), the event highlighted how music and technology have heavily influenced one another over the past decades. “When you feel the vibration it is a totally different experience. It helps you feel the music. When you have your volume to a certain level it creates its own bubble. People across the room can’t hear it, but you’re fully immersed in the song,” said ARIZONA band member Zach Hannah.